The Government House Foundation was created to foster the preservation of Government House and its grounds; to enhance its decor, character, maintenance, historical and cultural values; and to provide funding for the Lieutenant Governor’s programs and awards that have a positive impact province-wide. Funds donated to the Government House Foundation are placed in a trust account with proceeds directed for the benefit of British Columbians. Gifts in kind may also be accepted for display and use in Government House. All donations are eligible for income tax deduction. The Foundation has four Honorary Trustees: The Lieutenant Governor and spouse; The Chief Justice of British Columbia; and the Private Secretary to the Lieutenant Governor. The Foundation’s Trustees are elected to a three-year term. They are British Columbians who represent particular areas of knowledge — law, history, engineering, horticulture, the arts, etc. — as their role is not only to guide the Foundation’s activities but also to serve as advisors to Government House when so requested by the Lieutenant Governor. 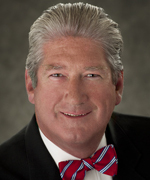 Michael O’Connor is a senior partner at McConnan Bion O’Connor & Peterson. Mr. O’Connor is the Past Chairman of the Victoria Hospital Foundation Board, the President of the Government House Foundation, Past Commander of the Victoria Commandery of the Order of St. John, Co-Chair of the British Columbia Paraplegic Association Spring Fundraiser in Victoria and Co Chair of the David Foster Foundation’s 25th Anniversary Gala. He has held several positions at the local, provincial and national levels, including Vice President of the Canadian Rugby Union, President of the British Columbia Rugby Union, Chairman of Canada’s First World Cup Rugby Team and he is the Past Vice Chairman of the 1994 Commonwealth Games held in Victoria. Michael is also the recipient of The Queen’s Diamond and Golden Jubilee medals and has received a Vice-Regal Commendation. of 2004 and is currently Vice-President. His background includes a career in the life insurance industry followed by politics where he was appointed Minister of the Crown in a number of portfolios including Indian and Northern Affairs, Public Works, Science and Technology, and President of the Treasury Board. 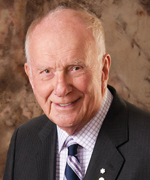 After leaving politics in 1980, he brought his expertise to lead Silver Star Mountain Resorts Ltd and in 1995 he created the Canadian Tourism Commission. He received the Order of Canada in 2000. Michael Ryan grew up in Vancouver and completed his education at the University of British Columbia, graduating with a BCom in 1953. He then started a long career in the investment business in Vancouver, retiring in 2003. 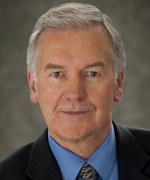 Some of his roles in the investment field include Past President of the Vancouver Society of Financial Analysts, Chairman of the Canadian Council of Financial Analysts, Director of the International Association of Investment Management and Research, and Chairman of the Vancouver Stock Exchange. He was also active in several cultural organizations. He has maintained ties with the University of British Columbia, being a former member of the UBC Senate and of the Sauder School of Business Faculty Advisory Board. He was one of the three founders of the prestigious Portfolio Management Foundation where a small team of students serve a two-year term managing a portfolio of over $4 million. In his spare time he plays tennis, pulls weeds out of his garden plot and fiddles around in the stock market. Dr. Brandt Louie is one of Canada’s most respected entrepreneurs and philanthropists. Under his stewardship, London Drugs has become one of Canada’s most trusted retail brands, and a leading contributor to environmental and social causes. 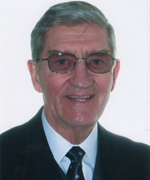 Dr. Louie practiced as a chartered accountant until joining the family business in 1972. Since then, he has applied his acute financial mind and entrepreneurial energy to growing H.Y. Louie Group on a foundation of respect, hard work and community service. He was named Chairman and Chief Executive Officer of London Drugs in 1998 and again in 2014. A visionary business leader, Dr. Louie advises North America’s most prominent corporations and public institutions. He serves in organizations such as the Vancouver Board of Trade/World Trade Centre, and the B.C. Business Council, the Historical Foundation of Canada, the Food Marketing Institute, the Gairdner Foundation, The Most Venerable Order of the Hospital of St. John of Jerusalem, Chair of the Board of Directors — Grosvenor Americas, member of the Board of Visitors — Duke University Medical Center and the Dean’s Council, John F. Kennedy School of Government. As of 2013 he is a member of the Canadian Judicial Council, Chairman’s Advisory Group and is an advisor for the Winkler Institute for Dispute Resolution. In 2015 he was appointed a trustee of the Government House Foundation by the Lieutenant Governor of British Columbia. For his business and philanthropic leadership, Dr. Louie has been honoured with several awards, including: Entrepreneur of the Year, the Golden Jubilee Medal of Queen Elizabeth II, the Simon Fraser University Business Impact Award, C.H.I.L.D (Children with Intestinal and Liver Disorders) Foundation’s Great Canadian Achievement Award, the Golden Pencil Award, and the Cornucopia Lifetime Achievement Award CCGD. Dr. Louie is an elected Fellow of the Institute of Chartered Accountants of British Columbia. In 2005, he was conferred with an Honourary Doctor of Laws degree by Simon Fraser University. He served as Chancellor of that institution for 6 years. 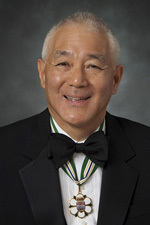 In 2009, Dr. Louie was awarded the Order of British Columbia and in 2011he received the Rix Award for Engaged Community Citizenship for his on-going community involvement. In 2012, he was made a Companion to the Canadian Business Hall of Fame along with Tong Louie, who was inducted posthumously. In 2013 he received The Queen Elizabeth ll Diamond Jubilee Medal; The Distinguished Entrepreneur of the Year, Gustavson School of Business, University of Victoria, 2013 and The T. Patrick Boyle Founders Award 2013, of the Fraser Institute. In 2015 he was inducted in the BC Hall of Fame Business Laureates and accepted the EY (Ernst & Young) Entrepreneur of the Year 2015 Family Business Award of Excellence. Brian Rogers grew up in Vancouver and completed his education at the University of Oregon. After a successful career, he retired as Vice President of Sales, Marketing and Transportation for BC Sugar (Rogers). His extensive volunteer experience includes positions such as President of the BC Food Processors where he served on the National Board, Chair and Life Member of the Vancouver Salvation Army Advisory Board, Founding Chair of the Delta Farmland and Wildlife Trust and he was a member of the Environment Committee of the Vancouver Foundation. 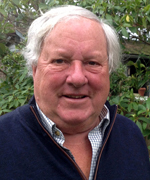 He is currently Past President of the Friends of Government House Garden Society and has just been reappointed to the board. In 1998, he joined the Government House Foundation and served as President from 2003 to 2005. 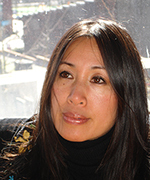 Carol Anne Lee is CEO and co-founder of Linacare Cosmetherapy Inc. The company is headquartered in Vancouver’s historic Chinatown district. With long standing family ties to the history of Chinatown, she is strongly committed to the revitalization of the area and is the Chair of the Vancouver Chinatown Foundation, Chair of the Vancouver Chinatown Revitalization Committee and Honorary Patron of the Chinese Canadian Military Museum. She serves on several other boards and organizations including the Faculty Advisory Board of the Sauder School of Business, the Harvard Business School Canadian Advisory Board, the Leadership Council of the Perimeter Institute of Theoretical Physics, the Rideau Hall Foundation and Finance Minister Morneau’s Advisory Council on Economic Growth. Ms Lee has a Bachelor of Commerce from the Sauder School of Business at the University of British Columbia and an MBA from Harvard Business School. Colin Smith’s career includes operations and corporate management, entrepreneurship and private practice consulting in the resource and infrastructure sectors and over 15 years of public service. PNWER and a Founding Member of the University of BC Alumni Victoria Leadership Council, amongst several other organizations. His service has been recognized with several Fellowships, the 125th Anniversary of Canada and the Queen’s Golden and Diamond Jubilee medals. Diana Maughan has thirty years of Board leadership, business and community experience in Vancouver. After high school graduation, University of BC course work and marriage, Diana graduated with a Diploma of International Studies from the University of London, England. Diana currently is a Director of Heathcliff Properties Ltd and Ronin Management Inc. Her focal point though is education. 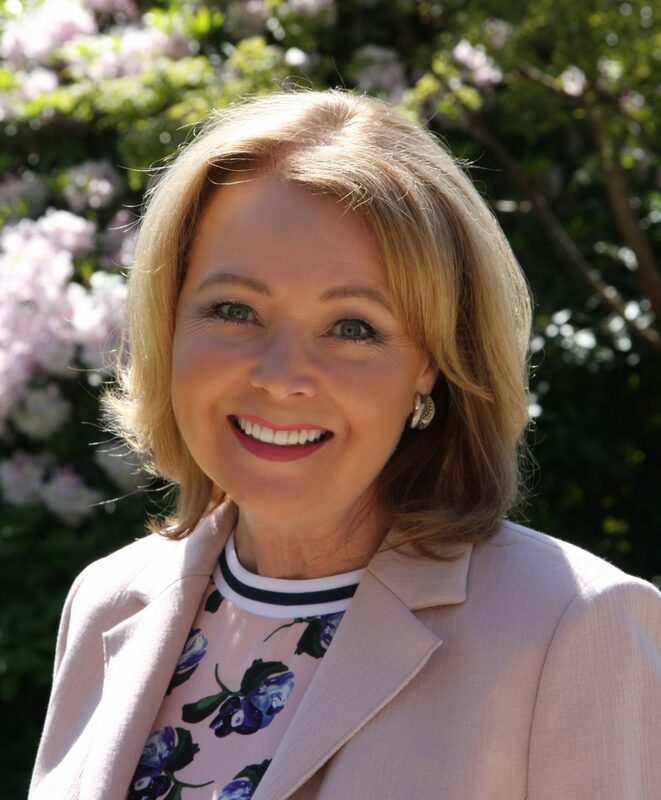 Through Board leadership and a consulting business she has worked to improve the governance practices of Canadian independent schools and international schools. 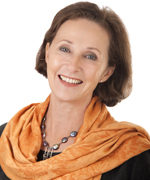 Diana’s main work is now with UWC International in London, England, which comes after many years of involvement with and as Board Chair with Lester B Pearson UWC College of the Pacific. In addition, Diana sits on the Shaughnessy Golf and Country Club Board and enjoys playing competitive golf. Diane Norton is president of Diane Cunningham Interior Design Associates Ltd. For the past 30 years, she has sat on the Board of Universal Packaging Inc. and is actively involved in the company. Diane’s passion for the arts and pediatric health care has led to her involvement in numerous boards within the City of Vancouver. She is a past governor of B.C. Children’s Hospital, past chair of the Crystal Ball, and current member of the B.C. Children’s Hospital of Care. Arts Umbrella has been a long term commitment of hers, and Diane has served in numerous leadership roles within the organization. Diane attended the University of British Columbia, and received her degree in Interior Design from Ryerson University. Ovarian Cancer Research Campaign for the Vancouver General Hospital/University of British Columbia Hospital Foundation and BC Cancer Foundation; co-chair of the Mikhail Gorbachev Student Forum and Gala for Science World and past chair of the Marketing, Development and Communications committees for the Vancouver Public Library Board. Drinda has held several positions at the local, provincial and national levels, including member of the UNICEF Canada Board of Directors, chair of UNICEF British Columbia, co-chair of the Arts Umbrella Capital Campaign and Annual Fundraising Campaign, as well as acquisitions chair for the St. John Hospice Art Committee and has been recognized with several community volunteer and leadership awards. Dr. Eric Charman is well-known as a philanthropist who has organized and led in excess of 500 charity auctions and a variety of fundraisers that have raised millions for not-for-profits in health, education and the arts in all of its disciplines. His background also includes a 40 year career in real estate where he is currently Past-President of the Canadian Real Estate Association and Past Chairman of the Real Estate Council of British Columbia. In 2000, he was appointed as a Member of the Order of Canada; in 1999, a Member of the Order of British Columbia; and in 1998, he received an Honorary Law degree from the University of Victoria. He joined the Government House Foundation in 2012. Victoria-born Grania Litwin has an English degree from the University of Victoria. She has worked as a public relations director at the Art Gallery of Greater Victoria, and then spent 35 years as a reporter, editor and feature writer at the Times Colonist newspaper where she is currently a part-time columnist. After serving as president of Victoria Hospice and being a charter member of the Victoria Hospice and Palliative Care Foundation, she chaired the Victoria Foundation’s Honorary Governors for five years. In 2000, Grania was named a Woman of Distinction for her communication skills and in 2003 was given a spirit award by Canwest Global Communications. 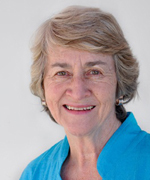 Most recently she has been on the Queen Alexandra Foundation board and is currently President of Blue Bridge Repertory Theatre and a trustee of the Government House Foundation. Ms Hinton joined the Government House Foundation in 2011, where her interests have aligned with the Lieutenant Governor’s Literacy Program and projects for Music and the Arts. Her background of 40 years in health care has included leadership roles in nursing administration, research, education and clinical practice. She retired as the Director of the British Columbia Government Office for Seniors in 2002. Active in the community, she also serves on the boards of Beacon Community Services Society, and the BC/Yukon Council of St John Ambulance. She is currently the Honorary President of the Winnipeg Health Sciences Centre Nurses Alumni and holds a two-year appointment as the representative for British Columbia, Alberta and Saskatchewan on the St John Ambulance National Honors and Awards Committee. In 2003, Ms. Hinton was invested as a Dame of Grace in the Venerable Order of St John. She is also the recipient of both the Gold and Diamond Jubilee medals, the YM/YW Women of Distinction Lifetime Achievement Award and the University of Victoria’s School of Nursing Award of Excellence. 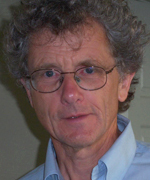 Joseph (Joe) William Gardner joined the Government House Foundation as a trustee in 2012. 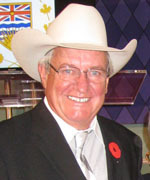 Over the past three decades, he has worked in a wide variety of professional capacities in both the private and public sectors, but is most known for his 34 years as General Manager and Vice President of the Douglas Lake Cattle Company–Canada’s largest working cattle ranch. He earned his Master of Science in Animal Science at the University of British Columbia, is a commercial rated fixed and rotary wing pilot and in 1986, he received the Medal of Bravery. 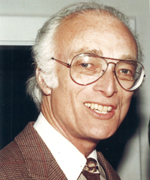 Nairn Hollott joined the Government House Foundation as a trustee in 1996. 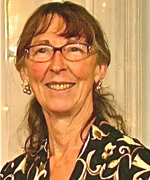 Ms. Hollott has a background in education, and has worked as a volunteer in service and administration for Aids Vancouver Island, Victoria Riding for the Disabled, the Capital Region Beekeepers Club and the Friends of Government House Gardens Society. She has gardened with the Friends since 1993, served on the Board and is currently Supervisor of the Sunken Rose Garden and Volunteer Coordinator. As a trustee of the Foundation, she represents the long-term interests of the beautiful grounds of Government House. 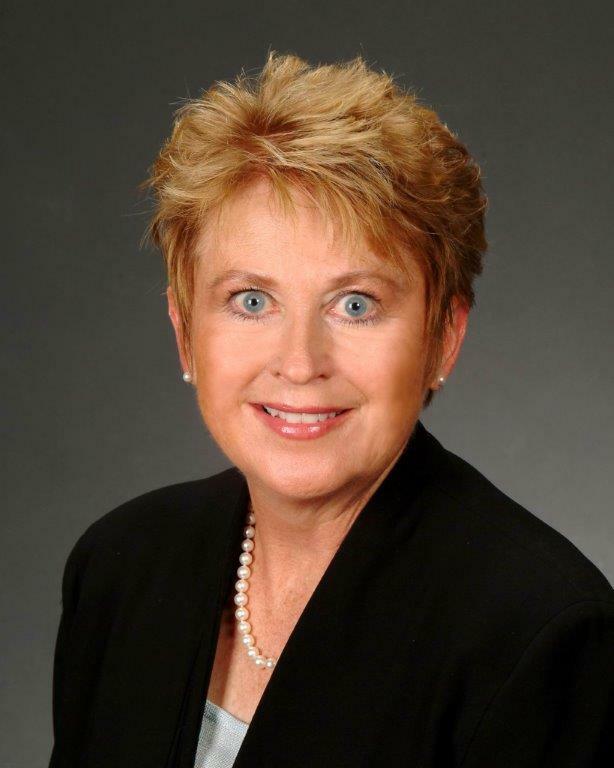 Nancy McHarg has worked in media and public relations for 25 years, counseling clients in energy, real-estate development, entertainment, sports, and retail as well as public and private education, academic administration and government. Her areas of expertise include stakeholder engagement and dialogue; crisis and issues management; research; community relations; and media relations. Nancy has a passion for sustainability related issues and led the team at Hoggan & Associates in the design and implementation of the most comprehensive research ever conducted on Canadians’ views on sustainability. First initiated in 2005 and repeated periodically since, the Hoggan Sustainability research has established a rich compendium of insights into Canadians’ views in the context of the shifting and challenging economic, environmental and societal circumstances of the past several years. Nancy has worked on sustainability related issues with companies such as Shell Canada, Canadian Tire, the North West Cruiseship Association, BC Hydro, Ethical Funds, and the University of British Columbia. Nancy began her career as a business reporter in Montreal and worked in current affairs research and production for a PBS producer. Her first public relations job was with McGill University. Other past employers and clients include Bosa Development, BHP Billiton, Orca Bay Sports and Entertainment/Vancouver Canucks, City of Vancouver, District of Kitimat, Whistler Sport Legacies, University of British Columbia, Credential Financial, Tides Canada, Urban Development Institute, among others. Nancy is on the Board of West Coast Environmental Law and is a past board member of Canuck Place Children’s Hospice. She has a journalism degree from Concordia University and is pursuing a Certificate in Dialogue from Simon Fraser University. Nancy loves yoga, swimming, running, hiking and skiing. 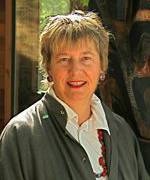 Pauline Rafferty is a trained archaeologist and the former Chief Executive Officer of the Royal British Columbia Museum (RBCM) in Victoria. Under her leadership, RBCM was transformed as a Crown corporation, and she was also deeply involved in enacting a new Museum Act that helped the Museum achieve greater financial self-sufficiency while ensuring the history of the Museum is maintained and understood by future generations. 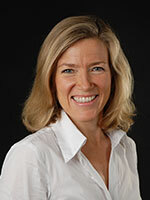 Prior to RBCM, Ms. Rafferty’s position was Assistant Deputy Minister at the Ministry of Women’s Equality. 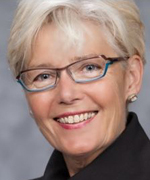 She currently sits on the advisory board of the National Capital Commission, the Canadian Museum for Human Rights, the Provincial Health Services Authority and is a former board member of multiple provincial and national organizations. Ms. Rafferty has been honoured for her work at the RBCM with a Queen Elizabeth II Diamond Jubilee Medal and awards from Royal Roads University, the Canadian Museums Association, and Tourism BC. Richard Osler has an extensive background in finance and the media through Pemberton Securities, the Financial Post and as a business columnist on Peter Gzowski’s CBC Morningside radio program. From 1991 to 2013 he was President of his money management company Aequanimitas Inc. In addition, he is a published poet, and facilitates poetry writing for writers and for clients of drug and alcohol recovery centres through Recovering Words poetry workshops and retreats. He has also been a Board volunteer for Lunchbox Theatre in Calgary and Island Pacific School on Bowen Island, and from 2002 to 2013 he was a governor of Brentwood College School in Mill Bay, BC. Currently, he is a Director, Co-founder and former Chair of HealCanada, a Vancouver-based charity serving the needs of women and children in the Great Lakes region of Africa. He joined the Government House Foundation in 2012.